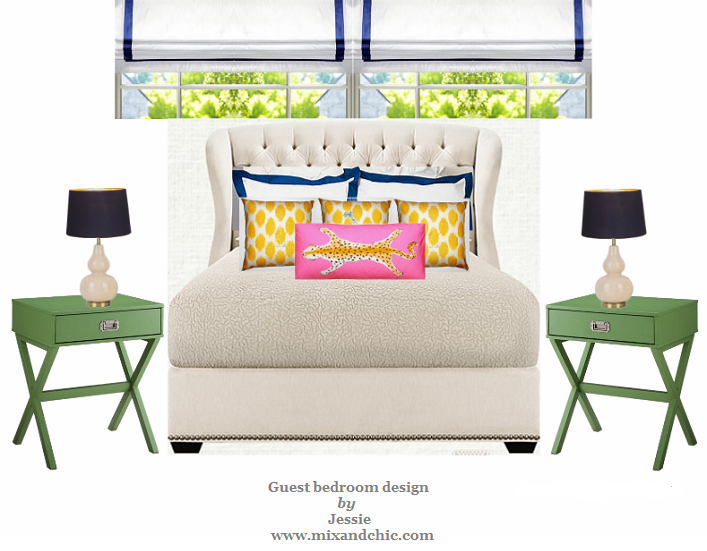 Mix and Chic: The One Room Challenge- Week 1! Thanks to Linda from Calling It Home for inviting me to participate in another round of One Room Challenge (ORC). 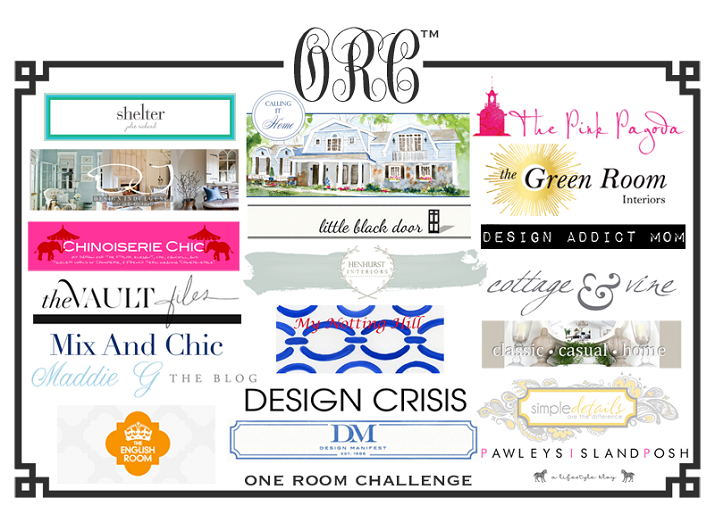 In case you are unfamiliar with the challenge, ORC involves 20 participants from DIY bloggers to designer bloggers who will have just 6 weeks to make over a room. For six weeks, we will be posting progress/ updates on our rooms on every Wednesday. Click here to view all One Room Challenge posts! I picked our master bedroom for our first ORC. It involved a lot of hardwood floor drama and we almost didn't finish. You can check out my first ORC here if you like. This time, I picked my son, Isaac's bedroom for this makeover. I already started making over his room last year but it never get completed. It was the smallest room in our house ( 8' 8"x10' 4") and it looked like this when we first moved in. The previous owner painted it a bright lime green (the picture looks yellow for some reason) and used it as an office (we found that out in the real estate listing photo). Because the room is so small, I decided to paint it white to make it feel brighter and more spacious. I have big plans for the focal wall (read: rustic plank walls), but unfortunately my husband was not on board. So, I went with the stripes instead. You can read more about my son's bedroom here. I plan to incorporate some colorful accessories on this wall so I picked something light and neutral as the backdrop. 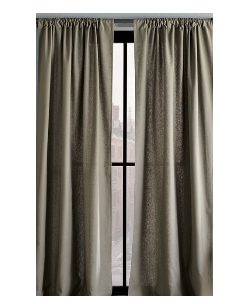 For the design I was going for, a roman shade with a contrasting trim would be ideal but it is out of our budget so I picked a pair of simple striped curtains (that were on clearance) instead. You can read about the details on my previous post here. The hard part (prepping, priming, painting, measuring, etc) of this makeover might be over but the room is still unfinished. I have so many things I wanted to do with this room. If it wasn't for a few DIYs that I had in mind, the room would have been completed a year ago. I will be the first to admit that I lack the motivation when it comes to completing any DIY projects. Hopefully, I can finish them this time and give my little guy a nice surprise! 1. Put together an art decal project. 2. Make a branch mobile. 3. Find fun hooks for Isaac's clothes and backpack. 4. Buy art frames and hang artwork. 5. 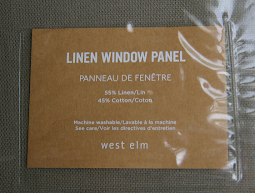 Shop for DIY project materials. 6. Shop for toy storage. 7. Shop for more accessories. It might not seem a lot of work but it will take me a while to complete each project. I am planning to start with the art decal project first so hopefully, you will see them next week! Check out the rest of the participants from The One Room Challenge below! I hope you will be following me and the rest of the talented ladies as we transform our rooms! 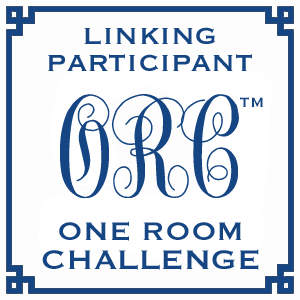 If you love the One Room Challenge (ORC) and have an unfinished room or two, you can now join in the fun by becoming a linking participant. The linking up starts tomorrow (October 3rd). Don't forget to grab this button before you start. To get started, please hop on to Linda's blog to check out the details, here and here. P/S: Don't forget to enter my current giveaway for a chance to win a set of gorgeous velvet pumpkins to complete your fall decor! The stripes are such a great start. I can't wait to see it come together! LOVE the stripes.....they are so calming to me! I know that this room is going to be so cute Jessie! oh my gosh, I am so in love with those stripes! The accessorizing can sometimes be the most challenging as this is what helps tie a space together. Great plan, Jessie! What a fun space to makeover, Jessie ~ glad you get join in this time around! So excited to follow along for another ORC! Love the striped wall! I love stripes too - this will be fun! oh this is going to be so great to follow along with - so excited to see what you do Jessie!!!! Wel, you get an A+for your stripes, though I was sad to see the green go...(JK) I love your ideas and I am your newest follower, I am going to play along at home, and do a room that is otherwise known as "hell" in my house...cats go in there...and they never come back..again, just being funny...kind of...well, yes. have fun! The stripes are perfect, well done! I love boy's rooms so this will be fun to follow along. Thanks for the mention about the linking up. Glad you could jump in. So excited Jessie! Loving the color and stripes! I'm doing a stripe treatment in my son's bedroom too that I'll be linking up tomorrow but different than yours, can't wait to see it! It's already looking good...this will be GREAT! 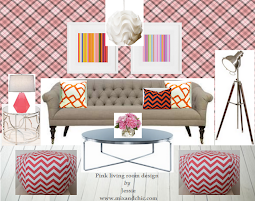 Jessie, I love stripes and I even have a Pinterest board devoted to them. That's commitment! Looking forward to seeing this space all finished up! I love the striped wall! This space is going to be great. I hear you on doing the heavy lifting and then not finishing....it seems like the story of my life. I am looking forward to following along! Hi Jessie, That wall is stunning - I am very impressed. Looking forward to seeing the rest of your work. Your son's room is going to be adorable! I'm so glad I'm not the only one with small rooms ;). I love the strpes and the panels together -- it's already looking great! Can't wait to see what else you do! I am thrilled to be in the One Room Challenge with you. It is a much needed swift kick in the rear to get this home office of mine looking good. Cannot wait to see what everyone comes up with and the AFTER shots. The stripes are FAB! I'm excited to see this branch mobile! Sounds really cute. It's going to be fab! Can't wait to see it all unfold! omg the plank walls would have been fabulous! but I love how the horizontal stripes turned out too, and I love the neutral color! can't wait to see how this transpires!